Cheyanne is a Native person of both Ojibwe and Crow background. “It’s hard to say exactly what tribe I am from because my family was displaced for several generations, causing them to lose knowledge about their Ojibwe ancestors and motherland,” she said. Not only that, but the displacement from her father has further made it difficult to understand and make sense of her Native background. But she does know one thing: no one in her family went to college. Her grandmother dropped out to help her father log and run his horse ranch, and her mother also never received the opportunity. 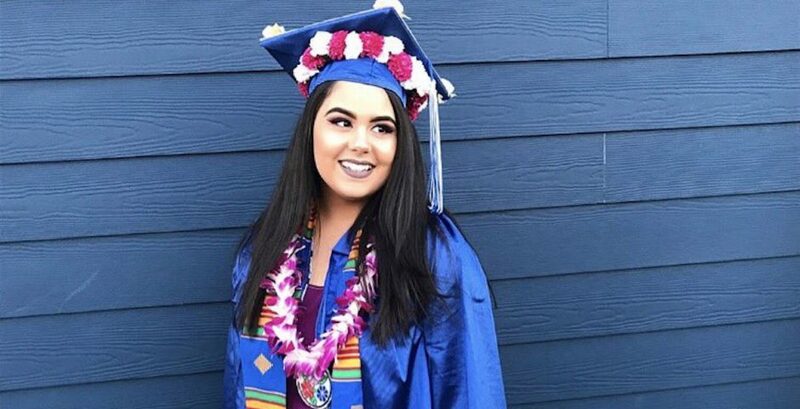 Cheyanne admits that she almost didn’t go to university as well. College became an escape for Cheyanne, and a chance to gain some independence; but along with it came a stress she couldn’t handle alone. Those role models came in the form of other Native women or women of color in her life. 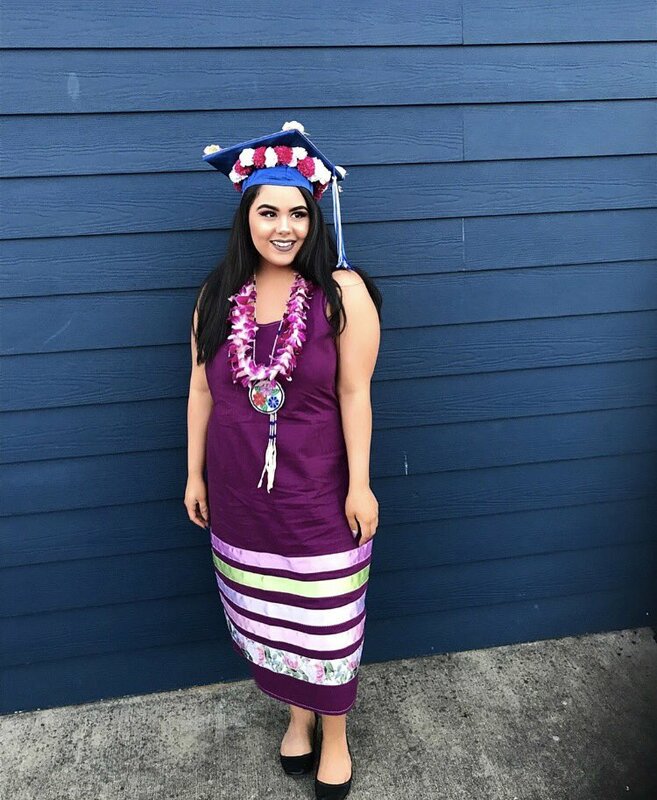 With the inspiration of those women, her boyfriend, and other Native students, this first generation student graduated in the spring. 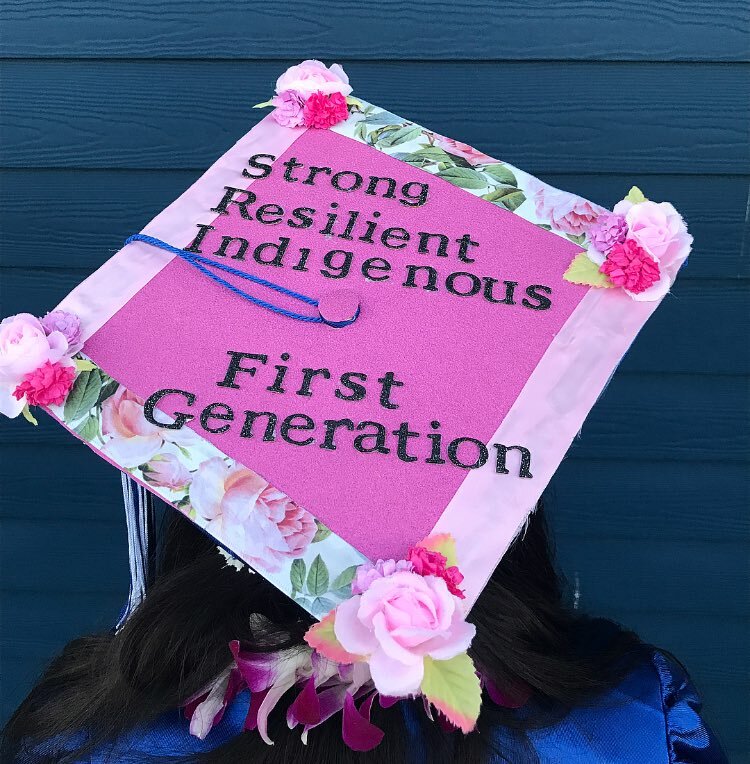 Cheyanne walked with “Strong, Resilient, Indigenous” written on her cap. 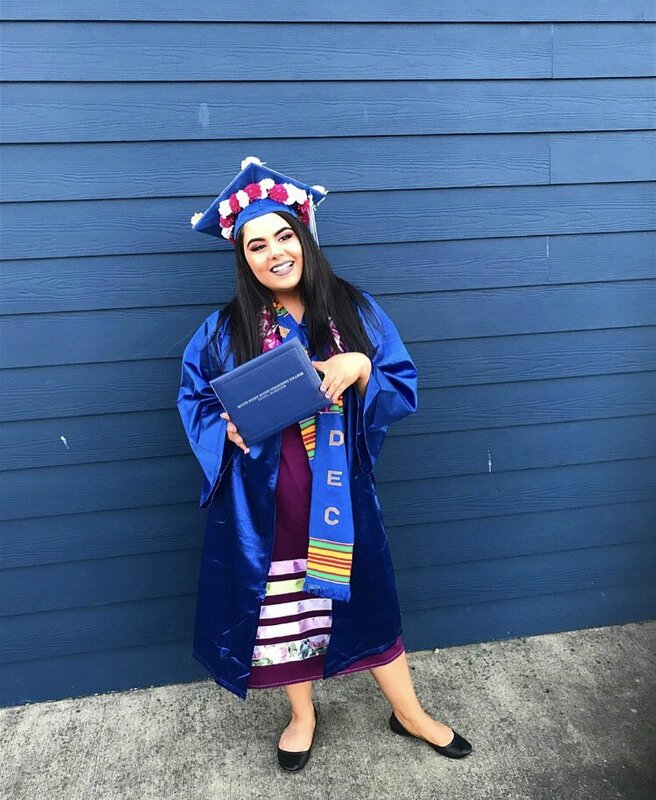 Cheyanne plans on continuing her undergraduate education with a communications major and a minor in Native Studies. Donate to her GoFundMe here.